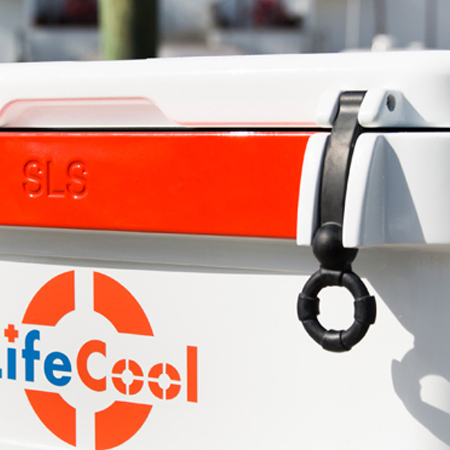 LifeCool is an important piece of safety gear embedded into a cooler. Like an airbag in your car — you won’t know it is there until you need it. 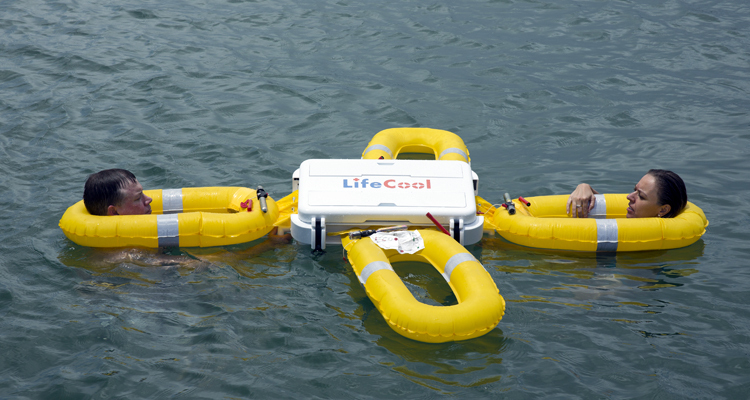 LifeCool is a dependable alternative to buying an expensive and bulky life raft and will ensure a flotation device is available when you need it most! Don’t settle for the standard looking cooler. 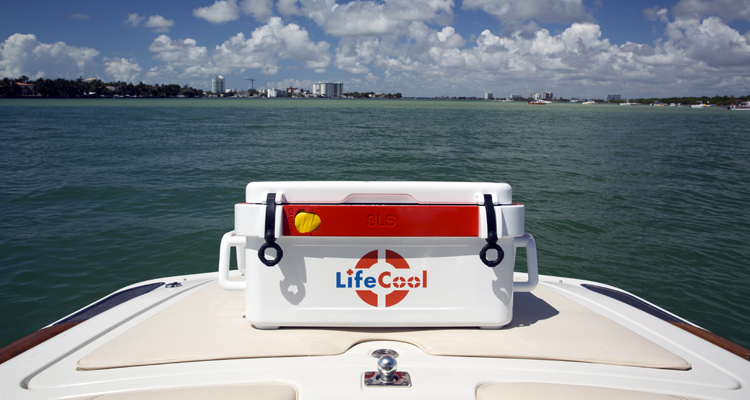 Many boaters have given us positive feedback on the style and functionality of LifeCool. SO WHAT MAKES THIS COOLER SPECIAL? The LifeCool Cooler is an impressive 31 inches long, 16 inches tall and 14 inches wide. It has a storage capacity of 48 quarts and keeps your food or items nice and dry. 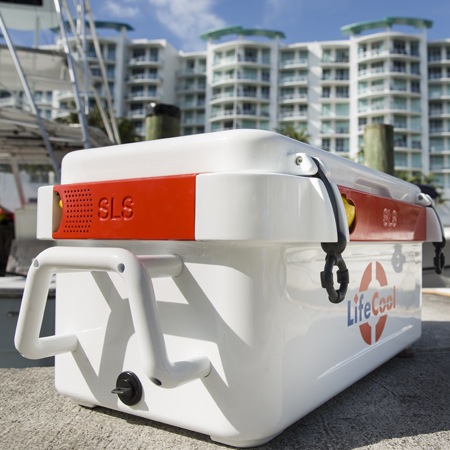 The LifeCool Cooler is safe and simple to use. Tucked away on every side is a lifesaving ring that is always ready for deployment. Automatic or manual inflation can be configured. Don’t settle for less when it comes to keeping your items secured. 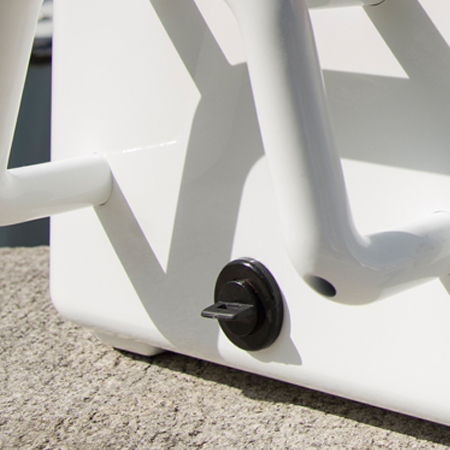 Our locking mechanism is built to provide a solid connection. Space is everything when it comes to a reliable cooler. We have multiple compartments to keep your items dry and easily accessible. Our large handles serve two purposes. First it allows for a solid grip. 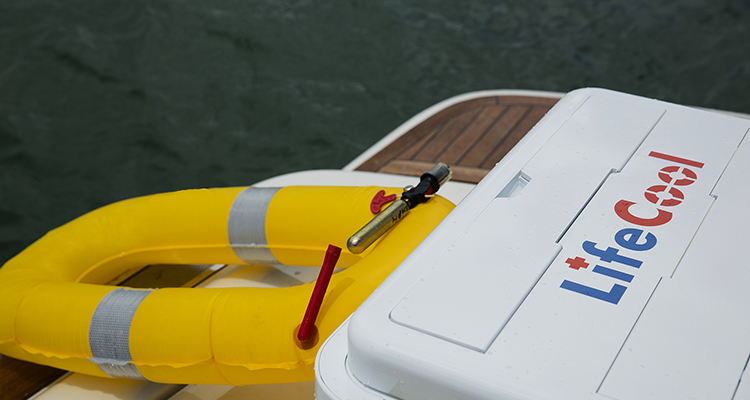 Secondly it provides a secure place to hold on to if you are in the water. Easy drain plugs are used on this cooler. 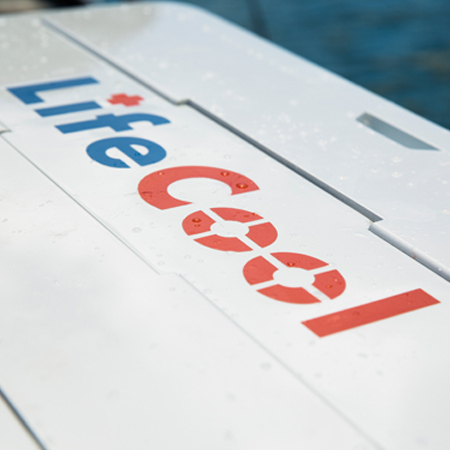 The LifeCool is not required to be Coast Guard approved due to it’s supplemental purpose. However, it is made from the same material and components that are found in U.S. Coast Guard approved life jackets and can be relied on in the most extreme circumstances in the most extreme conditions. Not at all. 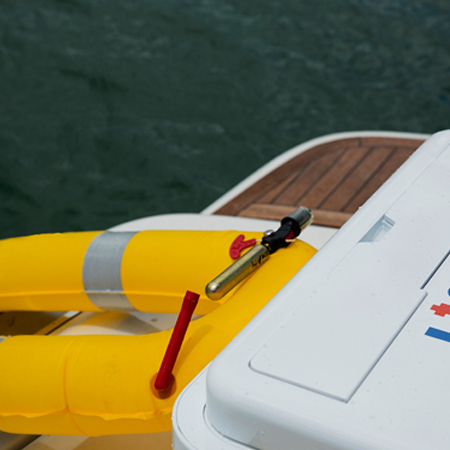 Just like the airbag in your car does not replace your seatbelt, the LifeCool will never replace your life jacket. 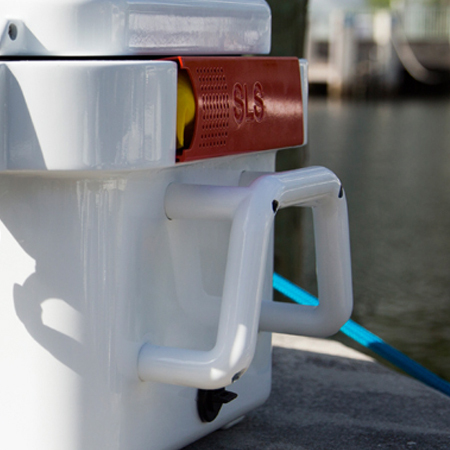 This cooler is designed to be a functional everyday item on your boat but discreetly increases your chances of survival in the event of the worst emergencies while also increasing your chances of being spotted by rescue personnel. Nope. The LifeCool is designed to be maintained exclusively by the owner. We recommend an annual examination. This do it yourself process includes removing the cover plates (no tools required), inflating each bladder, inspecting the inflators and bladder attachment points. This simple inspection takes about 20 minutes. Replacing a bladder is just as simple!